Got bored by filtering small and large size images ? Use this simple tips to get images of your dimensions. 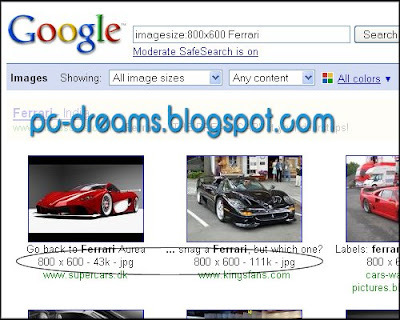 Just add imagesize:800x600 Ferrari if you would like to get images of Ferrari with the size 800x600.